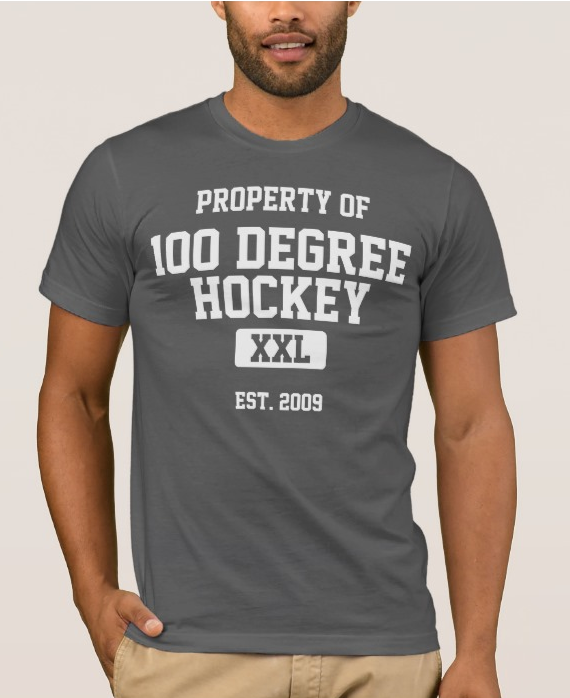 100 Degree Hockey - Texas Stars Hockey News: Can I Get a Welfare Check on the Texas Stars Fanbase? Can I Get a Welfare Check on the Texas Stars Fanbase? So... how are we doing? Ten days out from the Texas Stars' departure from the postseason, where are we at? There was a pretty good discussion going on in the comments of the final postgame article discussing what went down in the series. I think the series clearly didn't go the way that everyone had hoped. Regardless of whether you envisioned the Stars winning the series or not, not a lot of folks had them down for a sweep. Former coach Willie Desjardins (and many others) always said that Game 1 was the easiest to win on the road. That's exactly what Rockford did to Texas. Game 2 should have been the equalizer, but lineup decisions that may or may not have been made in Central Texas affected that outcome. If you back up a bit, the Stars have a lot of things to be excited about as you look toward the coming season. The way this team played since the All-Star Break reminds me a lot of another team that is enjoying post-season success: the 2013-14 Utica Comets. If you'll remember, the Comets were a mess to start their inaugural season. However, starting in late January 2014, something clicked, not unlike what happened with Texas after the 2015 All-Star Break. With the momentum they gained from the late season run, they vaulted to first place in the West. Texas can do a similar thing next year. The Stars can jump to the top instantly if they focus on three areas 1. Passing. I am not sure what happen between the Championship season and this year but the passing was a joke at best for the entire season. 2. Dowling and Ranford need to stay on the same line the entire season. Stop splitting them up unless one or both are in Dallas. 3. Someone (ANYONE PLEASE) besides Gaunce and Henderson needs to hit someone. I love the passion and character of the entire team and know if they sign some key personnel back and take my three suggestions the Stars will be raising another banner in 2016!!! Things are great North of the Red River. In all honesty, I'm going to need an AHL team to watch & cheer for. Can I shack up with these other Texas Stars fans? - Sincerely, "Hockey Lonely In OKC"
I'm looking forward to next season. I think there's got to be a better defense, and hopefully we get to keep Dickinson all season. Well, I just got an email from the Stars today reminding me that the 15th is the deadline to renew my season tickets. I'm really on the fence. When they asked why I told them flat out that I would only pay to see a team that was there to win, and that Game 2 really had a serious affect on whether I wanted to shell out a few grand for season tickets - especially since they only had FIVE SELLOUTS all season. You can pretty much go to StubHub the day of the game and have your pick of tickets, so why commit to season tickets? This is going to be a long week of contemplation as I decide whether or not to renew. I have seats on the glass. They are great, but Game 2 really really really bothered me. A lot. I'm right there with you regarding Game 2 and what impact it had on a lot of us. After a lot of deliberation I decided to go ahead and renew. I want to see what having the California teams does to our schedule and road trips. I'm curious (and really have no idea), but what are season tickets going for in Cedar Park these days? great! thanks! man, heckuva deal, really. I notice that the deadline to renew season tickets comes BEFORE the new team uniforms and logo are announced. I am bracing myself for an uglier, brighter shade of green and a more cartoonish, less appealing logo. Pretty sure Dallas brass said that there wasn't enough time between the purchase of the Texas Stars in November and the deadlines to create and submit new uniforms to the league. So it would not be 2015-2016 that the colors/uniforms change, but 2016-2017. I'm looking forward to the Victory Green. Not a big fan of the hunter green/gold/white. Much preferred the older "TEXAS" whites and "STARS" blacks over the latest jerseys. One thing that really needs to change for next year: The Stars do not use social media barely at all. Yeah, goal updates on Twitter are considered the bare minimum. Given that ticket sales will flow from fan passion, it is shocking to me that they do not have the players contributing to active, official team player accounts in social media. They should force the starters and prominent players and coaching staff to be on Twitter, interacting with fans, each other, and even players on other teams. One way to get more sellouts is to have the fans really care about the players on the team. 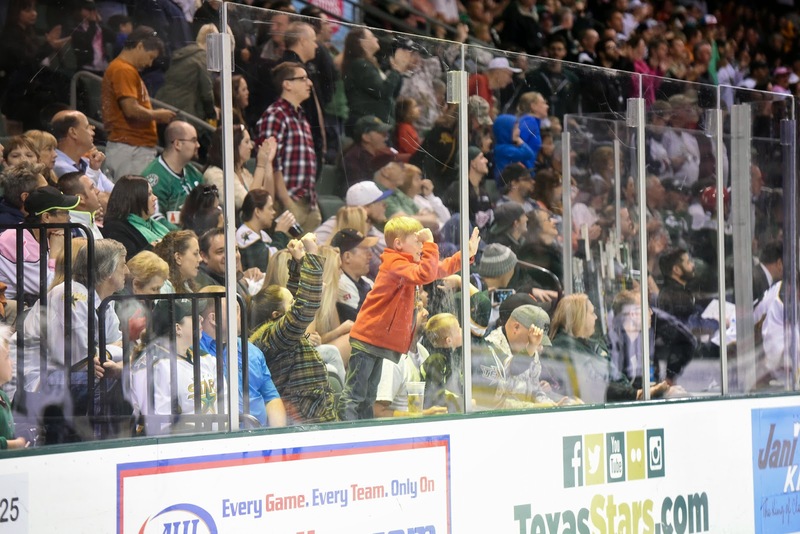 Sometimes it seems like I can count the number of people using the #txstars hashtag on one or two hands, and it's always the same crew of fans. Travis Morin should be a local hero - best prospect, lives in the community, great guy and great story. Is he even on Twitter? I don't think the team realizes how much fans get off on seeing stupid stuff like player photos from the tour bus/plane, updates from practice, comments about the game, interaction between players in a public medium, stuff about the players personal lives, or even short videos made for the fans. If I were in the Stars front office, I would budget a new position for Social Media Coordinator and get this team into the 21st century. I can't imagine it wouldn't have a dramatic affect on team support as well as ticket sales. I'm interested to see how this changes next year given Dallas' success with Twitter. It has to change to make them more relevant in the increasingly-crowded Austin market. I'm on the fence about what to expect for next year. The only move I've heard of so far is Meech leaving, which is good for him, but not so good for the team. We need stronger defense, and better, more consistent goal tending. I'm hesitant to say I'm excited for next season, just because of how unfulfilled I felt with the play for the majority of this past season and I didn't usually agree with the coach's player decisions. I hope things go better this coming season, but I'm not going to get my hopes up. I hope that next year the give-aways are better. I have way too many baseball and bucket hats, and a statue of a ring that now only instills disappointment and a longing for years past. I would much rather have the player bobble heads, team poster, and refrigerator magnets from before.